Members of the Paediatric Healthcare Team at Hull Royal Infirmary have received a financial boost to help babies and children in need of special care. The Society of MICE*, a group of Hull-based artists involved in the entertainment industry, have passed £14,000 to the Paediatric High Dependency Unit (PHDU) at Hull University Teaching Hospitals NHS Trust to purchase specialist equipment including a ventilator. “The Society’s members elect a new King every February, and one of their roles is to choose a charity or specialist project for the year which will benefit from the Society’s fundraising. “As part of the Family Involvement Group to the PHDU at Hull Royal Infirmary, we are very grateful indeed for this significant donation from the MICE charity. 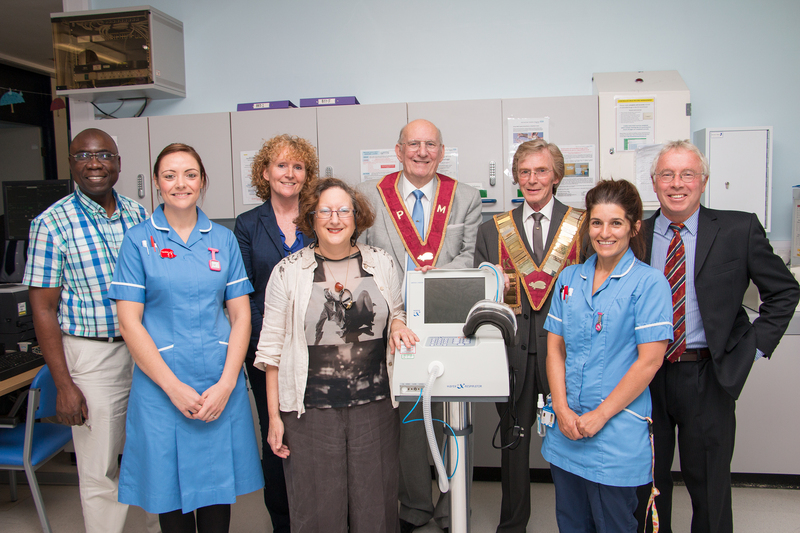 “This state of the art equipment will keep children comfortable and safe when they have breathing difficulties. Non-invasive ventilation helps to stabilise children and can enable them to safely remain in local care, in some cases even helping them recover from their illness faster and more fully.